Based on manga series "Sukitte Ii nayo" by Kanae Hazuki (first published April, 2008 by monthly magazine Dessert). Filming began January 6, 2014 and finishes mid-February, 2014. Kurt Cobain Nov 14 2018 12:03 pm I dont know, from middle to the end the story was very boring but i like the story in the beginning in this movie. ERIN Mar 10 2018 1:07 am I like the plot of the story and the lead characters but the anime version is way better. Ren Jun 01 2017 4:52 am Just finished watching this movie. I must say that it really doesn't satisfy me, maybe I expect to much. Since it is a movie it only has limited time thus missing things out included in the manga. Furthermoe, I feel that there's no chemistry at all.Well, it is just me, you can watch it if you want. Nice Jun 30 2016 8:08 am Seeing the credits part makes me wanna cry realizing I've reached the end. I really love the movie, it truly is worth watching especially when you're new to love. Nui Jun 24 2016 8:01 pm I like your show. Would you make more anime about Say I love you. Pam May 18 2016 8:38 pm Very good movie! I fell inlove with the characters in the movie. I highly recommend this. Sayantika Jan 06 2016 12:11 pm The movie is good!!! But the kissing scenes are downright horrible... No feelings !!!!! Hannah Sep 09 2015 9:07 am i'm falling for sota's voices... his voice is just so manly and deep but gentle in the same ways.. and he is so good looking! i've seen the movie but not the anime one so i don't have any valid points to argue 'bout this and watched this cause of him. i never knew about him before and knew him through 'Yowakutemo Katemasu' drama which i watched literally cause of "my" Kanata Hongo! lol XD and accidently fall for him in that drama.. but damn! that drama surely full with ikemen such him, kanata, yuto, nino & kento.. hope to see him featuring in more dramas and movies..
Chayon Apr 03 2015 1:08 am I did see the anime. It was really great. It is really understandable to whom watched the anime. And also the Movie is great to me. Paula Mamani Feb 24 2015 8:11 pm I saw the anime of this and it was so cute, i love it!!! ace Jan 03 2015 10:29 am I'm am divided on this movie. Turning a manga or anime into live-action is always risky. But turning it into a movie, rather than a drama, is even riskier. Because no matter what story you tell, you are forced to leave important things out. I never read the manga or watched the anime. So I came into it cold. But even so, it felt like there were huge gaps in the story. The cast is pretty solid, I guess. I have been an admirer of Haruna Kawaguchi Nagareboshi and GTO and she does a decent job but I wasn't blown away like I usually am. But she's still super kawai, so what the hell, right? If you are a fan of the anime I'd advise watching it with reasonable expectations. If you are a fan of teens and their endless sexual angst, you might well like it. Dianne Jan 02 2015 8:17 am Finally, I was able to watch this movie online! Since I hadn't seen the Manga or Anime, I couldn't compare it to anything but itself; and I thought it was great! The progression of teenage love with all of its ups and downs and misunderstandings and sweetness... Great job by the actors. Loved it, and I will watch it again! daa Nov 24 2014 1:53 am really want to see this!! my fav anime had become real life action!! when this going to come out?? miharu Nov 05 2014 9:27 am Im so excited to see the live action of this animie. this would be so awesome for sure. Lexa Nov 03 2014 3:07 pm yayy it comes out on dvd December 3rd and is can be pre-ordered on amazon japan!!!! WOW Sep 18 2014 10:47 am Woww! I loved the anime! I'm looking forward for it! EVEN There is Yagi Arisa in the Cast! Yay! elle Aug 06 2014 7:23 am Oohhhhhhhh.. i really want to watch this movie. I've been a fan of this manga ever sibce... can you. Help me ? Where can i warch it.. super thanks! bella Aug 04 2014 10:43 am i cant believe my favorite model yagi arisa is in my favorite anime/manga live action movie!!! cant wait to watch it!!! love you ari-chan!!! angel Jul 30 2014 7:21 pm Guys its a movie so please stop calling it a drama and it already came out in japan and one direction sang a song for it. Laryn Jul 29 2014 2:28 pm OMG!! I must watch this film!! Can't wait! Vanessa Jul 21 2014 6:32 am I never really thought of Say "I Love You" in a Drama... But the director, and creator of turning it into one, I'll say surprised me, They actually made it look good, I mean the anime will always be best! 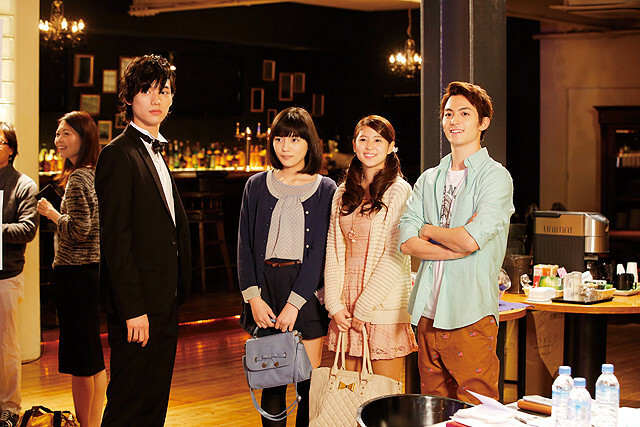 but it being a drama, May turn out to be the best as well of any Japanese drama's I've seen. Please do let this drama come out soon, I'm sure ton of people will want to see it! Ganbatte! Watashi wa matsu koto ga dekinai! SJ Jul 06 2014 12:59 pm Aricha!!! :) Key Oppa!!! Maddie Jun 17 2014 9:19 pm I saw this and immediately let out a scream. The anime was excellent so I have high hopes for this movie. It really seems like the casting is spot on and I CANNOT WAIT FOR THIS. Gwen May 30 2014 1:02 pm I've recently become a fan and am totally obsessed with this show. Will the movie have subtitles? When and where can I see it in NYC. nyonyadyana May 25 2014 12:09 pm OMG !! i'm a huge fan of this manga and anime. looking forward to this !! Kimmie May 17 2014 11:48 pm omg wow I cannot wait for this to come out! I love this anime and I did not expect it to have a movie so this is great!!! I'm so happy! Especially because yagi arisa is in it! Could not recognize for some reason because of her hair kyaaaaaa! Can't wait hope this is a good movie! Ko May 16 2014 6:43 am Cant wait to see this. Especially because yagi arisa is in it. Maika Apr 28 2014 7:45 pm OMG I can't wait to watch this! I saw the anime and fell in love with it ♥ I wish I could go back to Japan just to watch it! Maika Apr 28 2014 7:42 pm OMG I can't wait for it to come out! I saw the anime and loved it ♥ I wish I could go back to Japan just to watch it! Misaki Apr 15 2014 2:24 am WOW!!! Finally! I've been waiting for this! I loved the anime and i'm sure i'll love this movie too!! ♥ can't wait! zahra Apr 03 2014 3:12 pm It's good to see they make dramas of their animations URESHIDES!! ada Apr 03 2014 7:36 am loved this manga! I was supppperr thrilled to know that it would be turned into an anime and now a live action movie with haruna and a hottie in it!? My life is complete! i love the trailer! i love that there are a lot of kissing scenes (which is rare in a japanese film) hahahha! can't wait! YOUKNOWWHO Apr 02 2014 4:01 pm aaaaa~ i can't believe this is happening! i LOVED the ANime now a drama! with my favorite girl in it! wow. 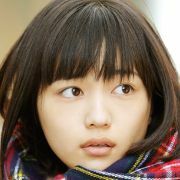 i love the main actress she is my favorite japanese actress! can't wait. Angie Lynne Reyes Apr 01 2014 8:42 am AHHHHHHHHHHHHHHHHHHHHHH!!!! *weeze weeze* i wish i knew japanese so i can understand all that was said on the trailer...nonetheless i am utterly excited for this!!!! read the manga and watched the anime. one of my all time favs!!! :D woooo! can't wait!!! A-Chan Mar 29 2014 12:55 pm Can't Wait OmFg!!!!!!!!!!!!!! XoxoJenn Feb 02 2014 8:07 pm I love this romance story. The anime was a little disappointing though and I am surprised that Skuitte Ii Na Yo is getting a live action. I saw the teaser and I am disappointed in the kiss. 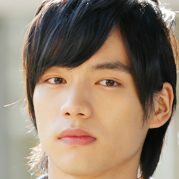 Sato Fukushi didn't really kiss Haruna Kawaguchi, I love Japanese movies and dramas but I really cannot see those fake kisses anymore. All Fukushi did was touched Kawaguchi's lips and it was so awkward, I would really will like to see real passionate kisses. Anyhow, I can't wait to see this movie! cherii Jan 10 2014 4:29 am really looking forward to this live acton after watching the anime. trran Aug 11 2013 9:51 pm I hope there aren't any young Johnny boys in it. I couldn't watch Sprout because the cast was just too young-looking. johenda Jul 26 2013 5:15 am oh my god i read the manga and it's just awesome!!!!!!!!!!!! looking forward to the casting !!!!! please choose haruma miura for the lead!!!!!! blue Jul 24 2013 12:01 am OMG OMG OMG I really want to watch it!!!!!!!!!!!! Amy Jul 23 2013 8:40 pm Super Excited!